Here are ways to help you get the most from NCpedia and to support your research needs. From live support by real librarians to subject collections and search features, check them out! NCpedia is supported and staffed by real librarians! NCpedia is the online encyclopedia of North Carolina, and it is supported and staffed by librarians at the Government & Heritage Library at the State Library of North Carolina. 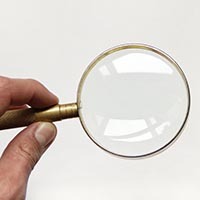 This page provides support and information for helping you get the most from the resource and for getting search help if you may need it. Librarians at the Government & Heritage Library and NCpedia have made a number of help features available for visitors. These include live CHAT, email, and viewer posted comments to NCpedia articles. These support features are staffed by real librarians, not by robots! 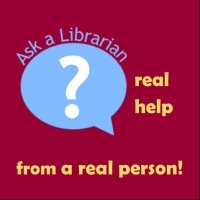 Librarians are available to help researchers during general business hours Monday through Friday 9 a.m. to 5 p.m. Generally librarians do not answer personal questions or share personal information. They want to keep the conversation focused on your questions about North Carolina to help you find what you're looking for fast!! Please be courteous and respectful when interacting with NCpedia social features such as CHAT, email, and posting viewer Comments. Librarians will terminate chats if language is inappropriate, abusive, or disrespectful. Use of abusive or offensive language may cause your location to be blocked from NCpedia chat. In addition, abusive and inappropriate language in viewer Comments posted to NCpedia will not be published. Emails to library staff that include abusive or inappropriate language may also not be answered by library staff. Please note that the content of chats and emails is subject to the Public Records Law of North Carolina. Please try to keep your questions focused on your search for North Carolina information! Librarians generally do not answer personal questions and they want to help you find information as quickly as possible! I was told my great grandmother Bessie Chavis migrated north to Robeson County from near Mccoll, S.C. I was told she was Waccamaw indian. Do you know where I could possibly find a census with her name to find out if this is true. She migrated with my grandfather Alec or Alex Sauders maybe in the early 1900s. Thank you. I will send your question on to the reference department at the Government and Heritage Library. They can help you more there. I just discovered this wonderful NC site when doing my car registration & taxes online today. 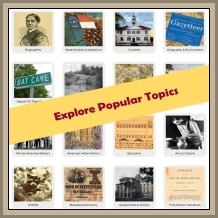 What a great resource of information in the NCpedia! I had just a few minutes to enjoy looking at the many places to visit in NC. I just wondered if we could add the Billy Graham Library somewhere to the list and maybe the Graham homeplace when Franklin Graham decides to open it for tours. No other state had the blessing of being the homeplace of a man so humble and so willing to be used by God. He was truly NC's native son! I am seeking information on the murders committed by Christopher Columbus Davis in June, 1903. Can you help me? A 4th teacher at my school would like her students to find out about food, dance, festivals, and music in the mountain, piedmont, and coastal regions. I'm not sure how to help with that. Any suggestions? I am trying to relocate a history of the Revol. War in North Carolina that was compiled by J. D. Lewis in 2012. The article is somewhere in the vast section called :The American Revolution in North Carolina". The article begins "UIn September of 1775, the Third Provincial Congress----. Can you help me re locate that article? Thanks. I am referring it to Reference Services at the NC Government & Heritage Library. 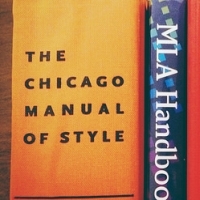 A reference librarian will contact you shortly to try to help with this.